Only BlackRock is recognized as a Social Security resource by a majority of advisors; the Social Security Administration is the top source of information overall. Social Security planning helps advisors deepen client relationships. Financial services companies have been promoting Social Security training as a prime means of value-added support for advisors in recent years. But how well have they been doing? Despite all of the online tools, illustration software, client seminars and educational materials, they could be doing better. That is perhaps the thrust of a comprehensive new survey of 600 advisors conducted jointly by Practical Perspectives and GDC Research in May. The completed report, weighing in at 91 pages, found that while virtually all advisors have some understanding of Social Security claiming strategies — vital knowledge in an age of rapidly retiring boomers — most describe their knowledge as modest. Perhaps more to the point, while advisors utilizing such support say its impact on new client acquisition is minimal, its value lies more in deepening relationships with existing clients. The report found that Social Security is a mainstream concern of advisors, with more than 9 out of 10 providing some support to clients in this area. Just 8% do not do so, the remaining majority falling into three segments: those who educate their clients about the topic (26%); those who go further by illustrating scenarios and claiming strategies but do not go as far as to make specific recommendations (30%); and a plurality of advisors who recommend a specific plan tailored to the client’s needs. That last group was generally more knowledgeable about Social Security and more successful in generating new business through Social Security. But overall, for all the attention paid this topic, 41% of advisors surveyed found Social Security had no impact whatsoever on new client acquisition, while nearly the same percentage of advisors (39%) said Social Security was linked to less than 10% of new clients gained in the past year. A small portion — 15% — of the elite planning segment of advisors — those who make tailored recommendations — traced more than 25% of their new client acquisition to Social Security. Advisors nevertheless are seeking support from financial service providers — more than 3 in 4 say they want it — yet the Social Security Administration remains by far the single greatest source of advisor information, attracting 75% of advisors surveyed. That is far higher than the second most relied-on source, the tools and software that vendors provide (47%). Advisors used resources provided by their broker-dealers and custodians (29%) to a more limited extent; and 28% use general financial planning software, with the balance of advisors reporting reliance on colleagues (22%), the media (21%), insurance companies and asset managers (18% each) among other less important sources (e.g., AARP at 11%). 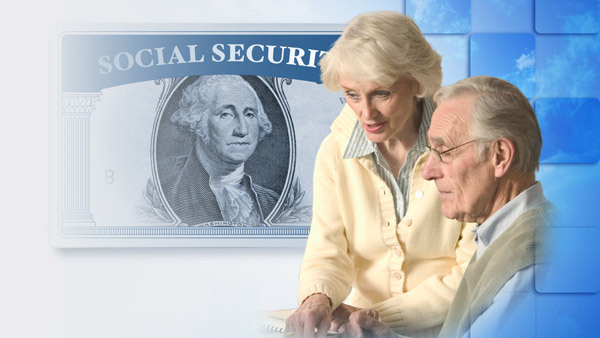 In general, advisors like their Social Security support free, with 43% unwilling to pay any fee; 36% of advisors were willing to pay for programs costing less than $250 a year and just 7% were willing to pay more than $500 annually for such software or tools. The planners who make Social Security recommendations had a higher willingness to pay for support, but even amongst that more elite group, nearly 4 in 10 fell into the camp of those not willing to pay a fee. Overall, fewer than 1 in 7 advisors subscribe at cost to a Social Security service. That leaves ample space for financial services companies to pick up some of the slack, and a large number of firms are seeking to fill the need. Just one firm, however, elicited recognition by a majority of respondents as a go-to resource on Social Security: BlackRock. “I was struck by how few firms received any significant mention as offering leading support beyond BlackRock and a few insurance companies. The asset managers especially lag in this area,” Howard Schneider, Practical Perspectives’ president, told ThinkAdvisor. The asset management firm was the top choice — ahead even of the Social Security Administration for all channels (wirehouse, regional, independents) except for RIAs. The latter group sought its information from Fidelity, HealthView Services and MoneyGuidePro. After BlackRock, the most used Social Security resources were HorseSmouth, MoneyGuidePro, Social Security Solutions/Analyzer and Fidelity. Advisors’ biggest concerns with the available resources are the need for training in order to properly utilize the available tools and uncertainty as to whether the tools at their disposal provide the best advice. Overall, advisor satisfaction was low. But that could change as a large advisor majority, roughly 3 in 4, say they are likely to seek out additional support, content or tools related to Social Security in the next year, potentially spurring asset managers, broker-dealers or software providers to connect more strongly with advisors.